(Bridgewater, N.J., March 21, 2018) - The Somerset Patriots have signed Major League infielder Alex Castellanos for the 2018 season. Castellanos enters his first season with the Somerset Patriots and first in the Atlantic League. 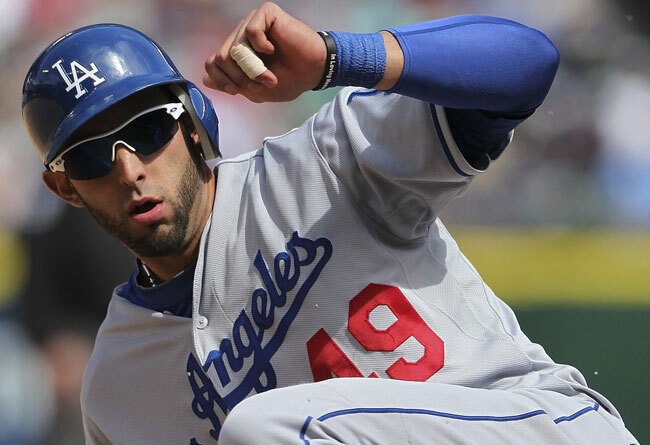 The versatile former big leaguer broke into the Show with the Los Angeles Dodgers in 2012. He split time with the Dodgers in both 2012 and 2013, totaling two home runs, four RBI and seven hits over 24 games including a solo home run off then-San Francisco Giants starting pitcher Tim Lincecum. The Miami, Florida native began his professional career in the St. Louis Cardinals organization in 2008. He had three years of service with the Cardinals before he was traded to the Dodgers mid-way through the 2011 season straight up for shortstop Rafael Furcal. That year, Castellanos combined to hit .320 with 23 home runs, 85 RBI and 14 stolen bases over 125 games between Double-A Springfield and Double-A Chattanooga. Castellanos has played each of the past six seasons at the Triple-A level in the Dodgers, San Diego Padres, New York Mets, Colorado Rockies and Baltimore Orioles organization. That includes an impressive 2015 season with Triple-A Las Vegas (Mets), in which he hit .314 over 79 games with 16 home runs and 56 RBI. He owns a .285 batting average with 68 home runs, 241 RBI and 49 stolen bases over 465 games at the Triple-A level. The Belmont Abbey College alum has hit .286 with 117 home runs, 455 RBI and 123 stolen bases over 10 seasons in minor league baseball.